Last November Wisconsin beat maker Madden Miles and TheMadBloggers.com teamed up to drop A Beat For You, The Donny Hathaway Beat Tape. Recently we took some of those beats and shared it with three up and coming fresh emcees; SigNif from NYC by way of Milwaukee, e.d.g.e. from Vancouver and JohnNY U. of NYC. 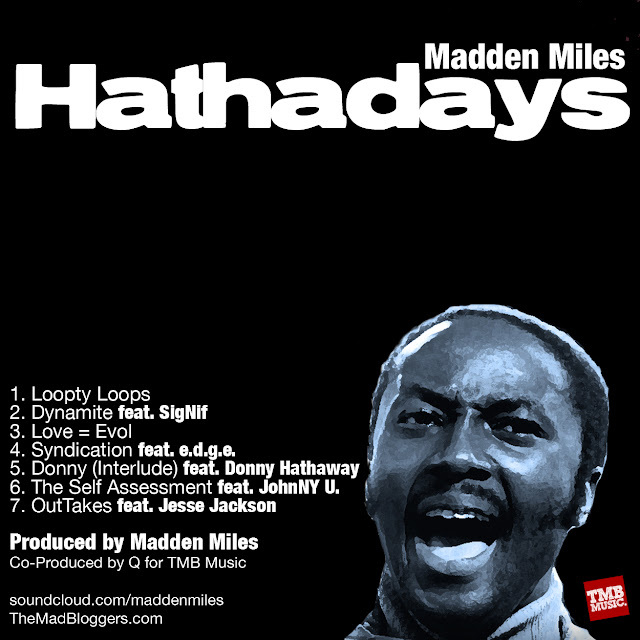 The result is Hathadays, which includes three short verses and a few unused beats on the 11 minute EP. We hope you enjoy. Chea! 6. The Self Assessment feat. JohnNY U.